Ford has confirmed that its Transit van will be manufactured in Kansas City. The company plans to invest $1.1 billion in facility upgrades and tooling to produce both the next-generation F-150 and the Transit in preparation for the van’s arrival on U.S. soil in 2013. That investment is $700 million more than Ford had previously allocated for its Kansas City facility. Ford says the extra cash will go toward new paint and body shops in addition to an integrated stamping plant. The upgrades will also allow Ford to increase F-150 pickup production with the addition of a second manufacturing shift. Previously, we had heard word that Ford would embrace the T-Series naming convention for the Transit, with models breaking down into trim levels similar to what’s seen on the current F-Series, though the press release after the jump specifically refers to the new van as the Transit. 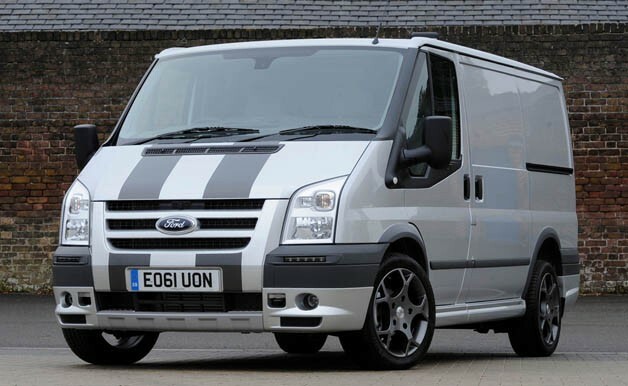 Does that mean Ford will rely on a new system of trim designation for the van? It’s hard to say, but either way, it certainly sounds like the days of the E-Series/Econoline range are numbered. Hit the jump to see the full press release for yourself. Ford confirms $1.1B investment to build Transit van in Kansas City originally appeared on Autoblog on Fri, 21 Oct 2011 13:29:00 EST. Please see our terms for use of feeds. This entry was posted on Sunday, December 4th, 2011 at 3:18 am and is filed under Mini Bus Hire. You can follow any responses to this entry through the RSS 2.0 feed. You can leave a response, or trackback from your own site.